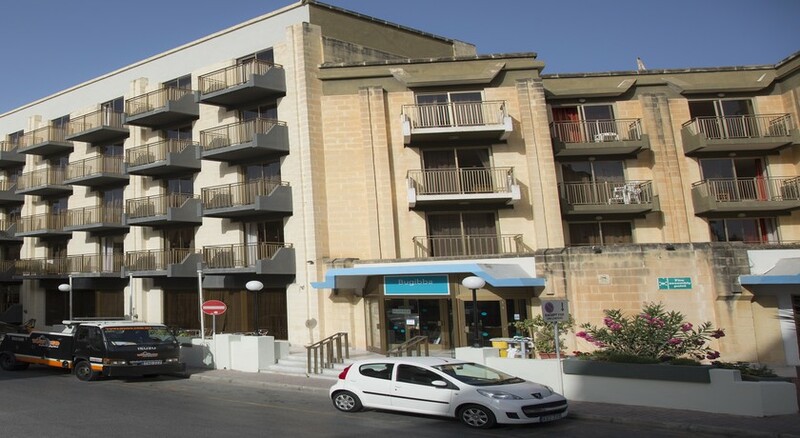 The Bugibba Hotel is an all-inclusive family friendly hotel located on the Qawra Peninsula in Malta, just a 2-minute walk from the beach. Boasting of a strategic location in central Bugibba and only a few minutes from the bus terminus, the hotel invites guests for a comfortable stay amidst modern amenities like indoor and outdoor pools and warm hospitality. 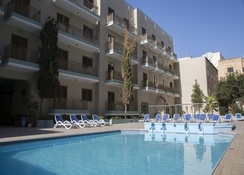 Immaculate and tastefully furnished, the rooms and apartments include a balcony with pool, courtyard or street views and feature a TV, a kitchenette, private bathroom and a bath tub. 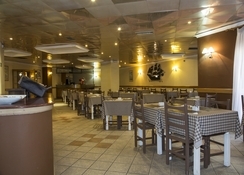 The hotel has a buffet restaurant and two bars including a pool one for catering to guests. 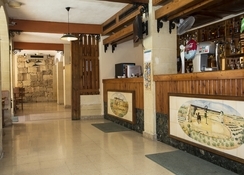 The Bugibba Hotel is only a few minutes from the bus station and the beach. St. Paul's Islands, although visible from the beach are 9.5km from the hotel. The Mosta Dome is 5.9km away, whereas Ghadira Bay is 10.7km. Transfer time from Malta International Airport at 18km, is 30 minutes. 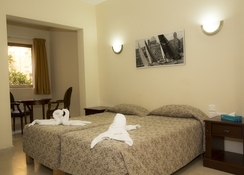 The 170 guestrooms at the Bugibba Hotel are air conditioned and come with cable TV, kitchenette with electric cooker and fridge, en-suite bathroom with bath tub and hair dryer. 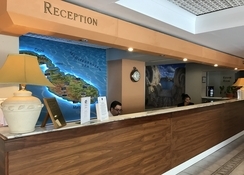 Room service, vending machine, currency exchange, tour desk, packed lunches, car hire, 24-hour reception, luggage storage are some of the hotel services available. 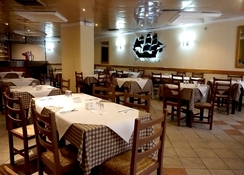 The Bugibba Hotel has a buffet restaurant serving all major meals (special diet menus available on request). The establishment houses two bars including a pool bar allowing guests to nibble on finger food while lounging at the pool with a cocktail in hand. The furnished kitchenette with electric cooker and fridge in the apartments enable guests to prepare their own meals. There are several pubs, restaurants, bars and clubs close to the hotel – Jack's Bar is the place for draught beer, cocktails, branded drinks and snacks. The hotel has two swimming pools (one indoor) and terrace where guests can soak up the sun. The hotel has facilities for darts and billiards. There are vending machines for snacks and drinks onsite. The hotel provides a shuttle to the beach. Guests may read in the library, browse the net with free Wi-Fi in public areas or watch TV at the shared lounge. Great indoor pool very inexpensive holiday. There was a few issues with the lift so anyone with mobility issues would be better at their sister hotel san anton. Plenty to choose from the buffet. Bacon is not nice but is the same everywhere in Malta. We were all inclusive and if you are going on excursions you can even get a pack lunch with you. Lots of things to see and do. The boat trip to comino and Gozo was an amazing and only 35euros each. We went in March the locals thought it was cold be were in shorts and Tahiti and sunburned after the boat trip. The only downside is not having tea and coffee making facilities in the room but there is always hot or cold refreshments served at the bars. The rooms were a bit dated but in fairness we paid £550 for 7 nights which is penny’s really as back home you would be lucky to get a hotel room only for three nights for that price.